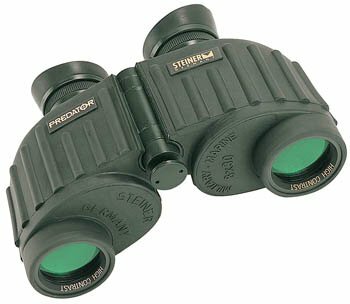 Currently, Natchez Shooters Supply has the highly regarded Steiner 8×32 Predator binoculars on sale for $199.00, marked down from $249.00. The versatile, rubber-armored Predator 8×30 is small enough to carry easily and fit into a coat pocket, while offering both power and brightness. The Steiner 8x30s provide 20mm of eye relief and a 390-foot-wide field of vision at 1,000 yards. Weight is 18 ounces. The waterproof Predator 8x30s come with Auto-Focus System, wrap-around eye cups that fold down, objective lens covers, binocular case and strap. Steiner offers a 10-year warranty on this model. This is a very good deal. We did a quick price search on the web. Cabela’s.com has the same 8×30 Steiners for $260.94, while OpticsPlanet.com is charging $249.00. CLICK HERE to read Steiner Binocular reviews from Cabela’s Customers. Share the post "Great Deal on Steiner 8×30 Binoculars"
The United States F-Class Rifle Team announced that Lapua, a division of the Nordic Nammo Group, has committed to provide world class cartridge cases for use by the U.S. Team in the 2009 World F-Class Long Range Rifle Championships. 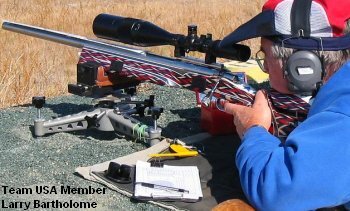 In July 2009, 35 of America’s best F-Class shooters from across the United States will travel to England to face team competition at distances of 600 to 1000 yards in the third World F-Class Long Range Rifle Championships. 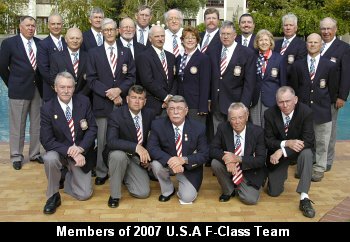 The United States won the first world championships in 2002 held in Ottawa, Canada, followed by a second place finish in 2005 in South Africa. In an effort to reclaim the world title in 2009, the team officers have created a training program designed to greatly increase their odds. “We have worked hard to modify both our team selection process and training regimen,” said Robert Bock, United States F-Class Rifle Team captain. “It brings us great pride and pleasure to have our efforts both acknowledged and supported by Lapua. We can’t thank Lapua enough for its support and dedication or our future success.” Team USA currently uses the 6.5-284 cartridge, and it is likely the team will stick with that chambering in 2009. Share the post "Lapua Brass for U.S. F-Class Team"